With over 25 years of experience, Challenger Sports have developed one of the most innovative approaches to coaching youth soccer in the US. Our international coaches study the game at all levels and we have identified the key techniques and skills that players of all ages need to work on and master to reach their true potential. Add this to one of the most fun and up beat camp programs possible and you have a week of soccer that your child will never forget! 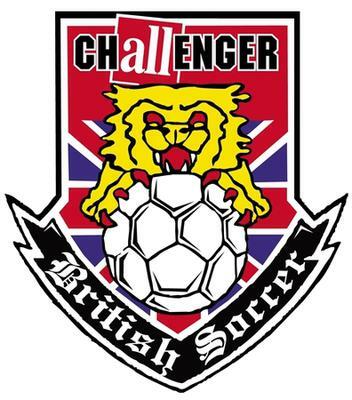 This summer Challengers team of over 1,000 British Soccer coaches will teach your child soccer with a truly unique twist! The British Soccer camp combines the latest and greatest foot-skills, feints, moves, juggling, core techniques and game tactics, with a variety of cultural and educational experiences for the players. The highlight of the week is the camp World Cup. Coaches use this daily tournament to teach the players about history, customs and traditions of other countries. Challenger also weaves lessons on Respect, Responsibility, Integrity, Leadership and Sportsmanship into the campers daily routine. I was hesitant about sending my 8 year old son to camp. He had never been away from home for more than one night! When I came to pick up him, he ran to me begging to stay another week. The staff was so kind and caring and the older kids really helped to make the younger kids feel special! Thanks for making such a cool project. http://topassignmentwriters.com/ I've been checking the site for the Windows version, but I never left a comment about it. I know you are working hard and doing it for free so you shouldn't feel rushed or anything. I hope you can continue this type of hard work to this site in future also. Because this blog is really very informative and it helps me lot. Nice content you have provided Gianluca Horsfall! I stay on your site only for the subject. It is truth that I inspired with this post but main work is the title "Challenger Sports British Soccer Camp - Colorado" because of that I have to concentrate on it. Your archive is awesome therefore I had to avoid my project management online assignment which I have to submit in a week. My spouse and i last but not least commenced my bestessay discount code! Thank you for the encouraging nudge and for all the info you provided me with. Sure, it was scary at first but with all this armour on me, it wasn’t as bad.. I really like this website a lot because it is very useful for them who want to get guide lines of soccer.So thank you for this great website.